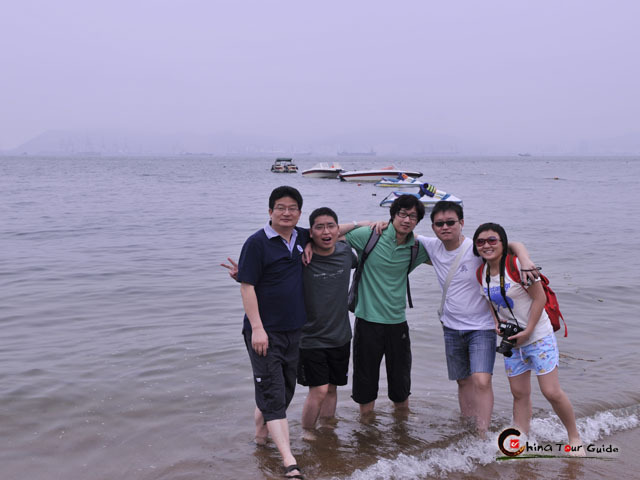 Xiamen (Amoy), located onthe southeast coast of mainland China in Fujian Province, is a resort city with pleasant environment and laid-back lifestyle, honored as the Garden on the Sea. It faces Jinmen (Kinmen) Islands of Taiwan across the Taiwan Strait. It was established in the Ming Dynasty (A.D. 1368-1644) as a major seaport and as one of China's five port cities. 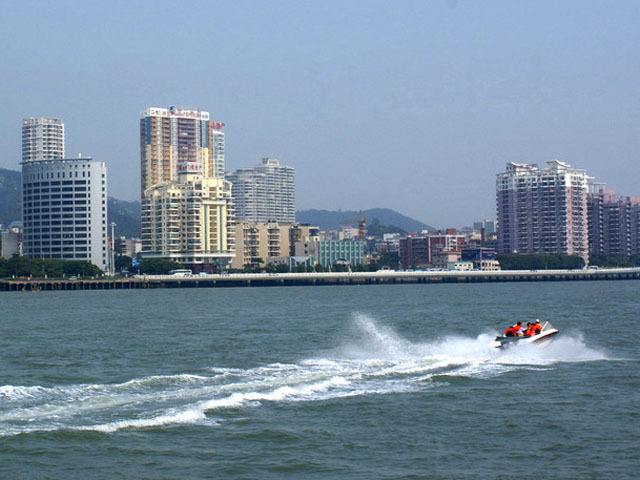 The city of Xiamen is mainly composed of two parts - Xiamen Penisula and Gulangyu Island, with the latter one being the top tourism spot of the city. 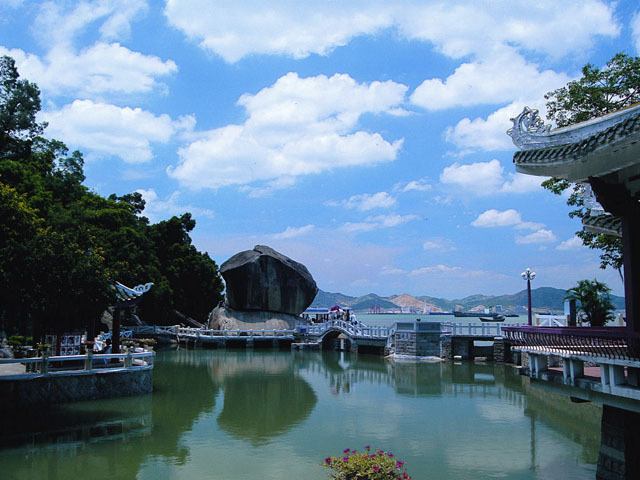 Only 5 minutes' ferry drive off Xiamen downtown, Gulangyu Island is a car-free place that is free of hustle and bustle. Literally its name means the Island of Drumming Waves. Winding lanes, musical waves, soft beaches and varied architecture as well as the delicious local snakcs are the most featured elements of Gulangyu Island. 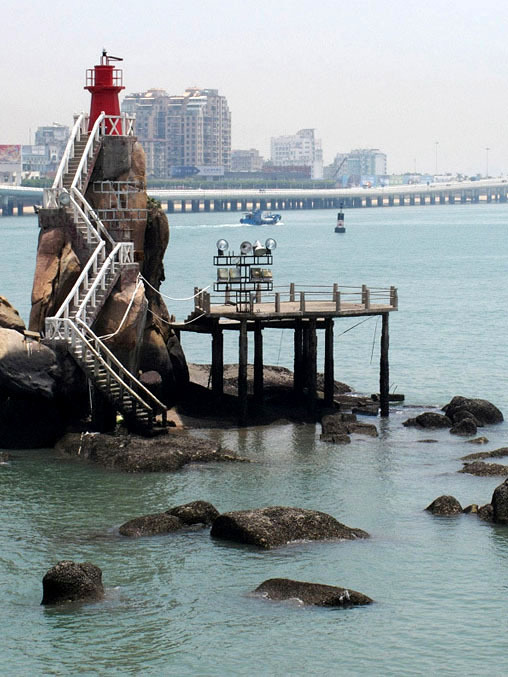 Early in the Song Dynasty (A.D. 960-1279), Xiamen was a seaport open to foreign trade. In 1541, European traders (mainly Portuguese) first visited Xiamen, which was China's main port in the 19th Century for exporting tea. After the Manchu Qing Dynasty overthrew the Ming in 1644, the loyalist of Ming Dynasty Zheng Chenggong (Koxinga) based its troops in Xiamen for counterattacks against the invading Manchus from 1650 to 1660. 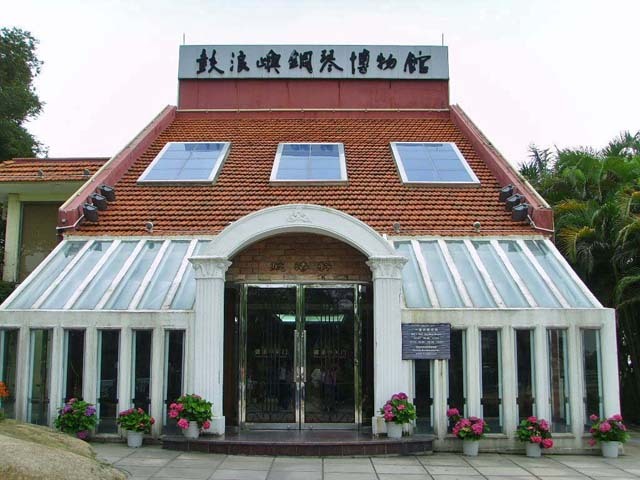 Now in Gulangyu Island there is a memorial museum dedicating to Zheng Chenggong (Koxinga). In the late Qing Dynasty the country secluded itself from the outside world until the First Opium War. Due to the Treaty of Nanking (1842), Xiamen was forced to open as one of the treaty ports to the Europeans. As a result, it was an early entry point for Protestant missions in China. European settlements were concentrated on Gulangyu Island, where now exists a great number of colonial architectural buildings. 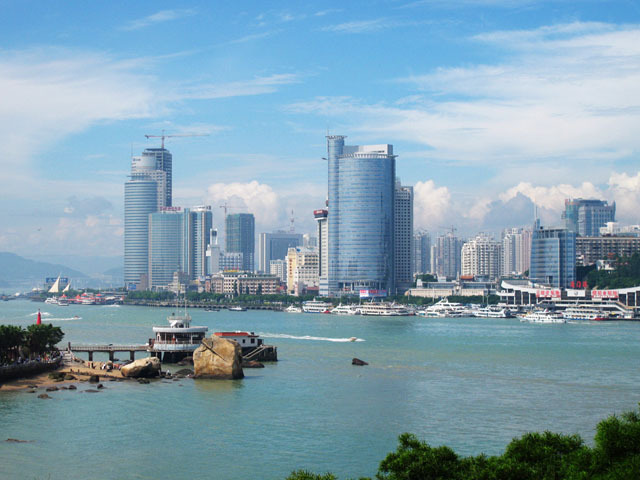 In 1980 Xiamen was made one of the Special Economic Zones to attract foreign investment, particularly from overseas Chinese. The city grew and prospered from foreign investment and trade. 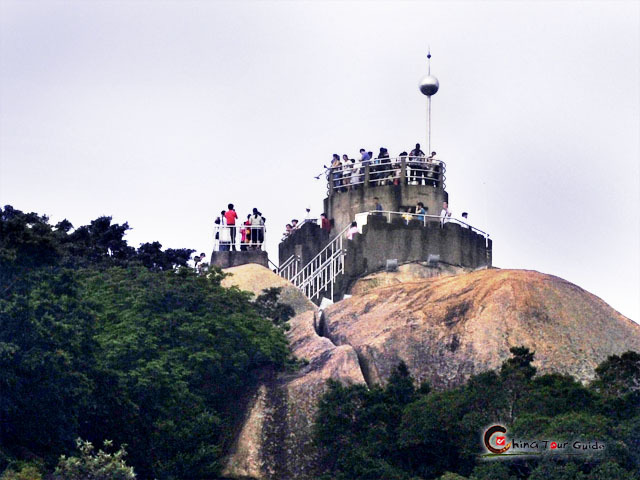 On the south-central part of Gulangyu Island perched a huge stone - Sunlight Rock. 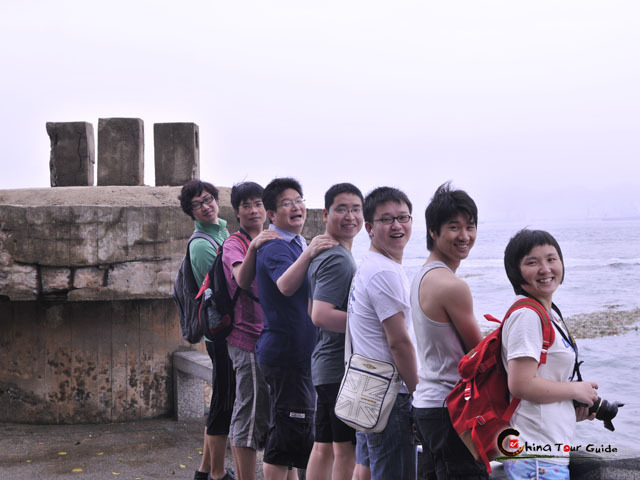 It's the highest point of Gulangyu Island, standing 92.7m (304ft) above sea level. 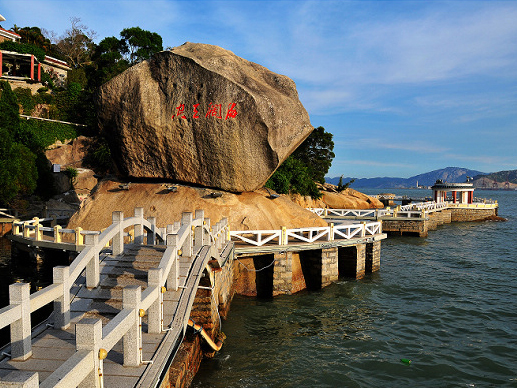 Sunlight Rock is the symbol of Gulangyu Island. 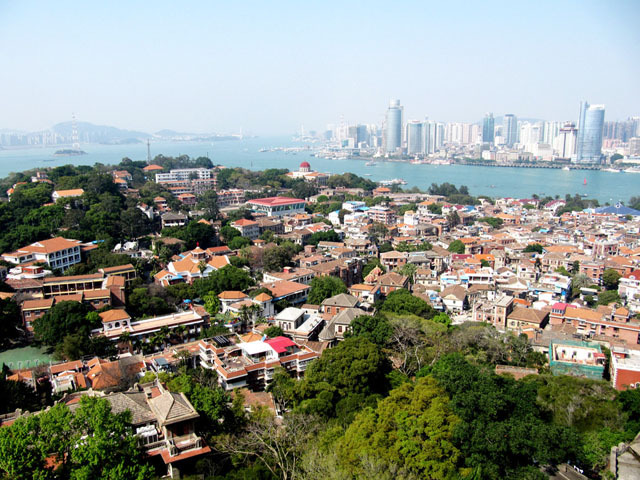 Standing on top of it, you can enjoy a bird's eye view of the Island and Xiamen cityscape across the river. There are also a great number of inscriptions left by poets on the Sunlight Rock; the oldest inscription dates back to over 400 years ago. 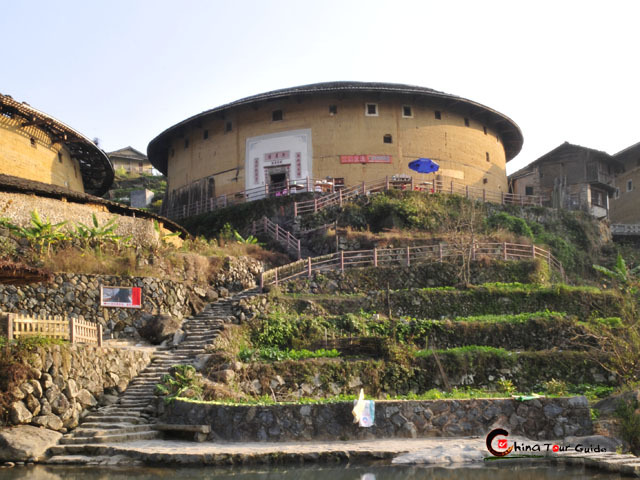 Included in the Sunlight Rock Scenic Zone there are also the Memorial Hall of Koxinga (Zheng Chenggong), Sunlight Rock Temple and Old Summer Cave (Gu Bishu Dong). 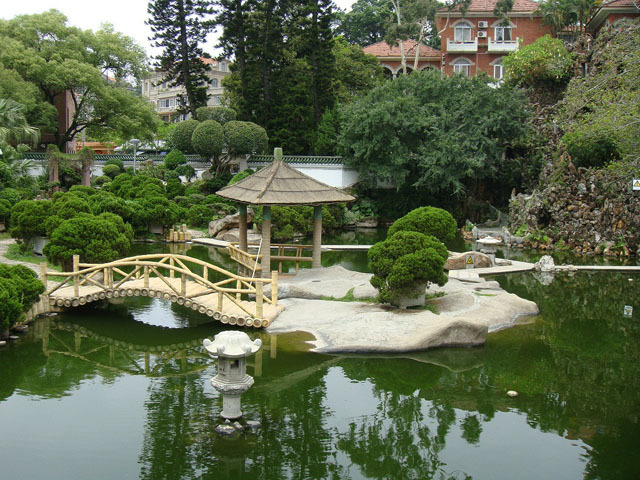 Once a private villa built in 1931 on the south of Gulangyu Island, Shuzhuang Garden is a seaside garden especially known for its exquisite design. 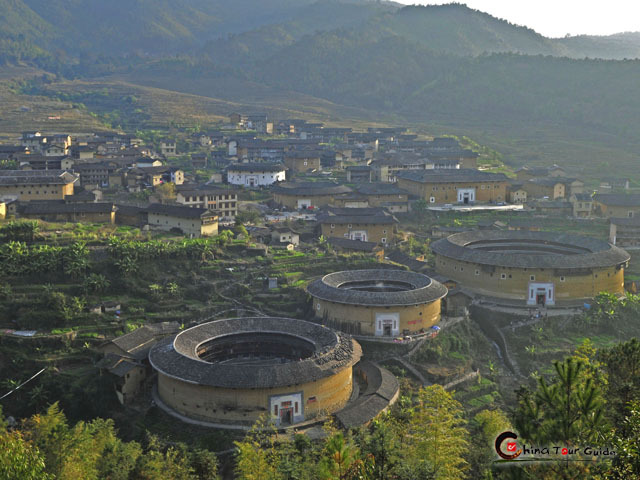 Shuzhuang Garden is divided into the Garden hiding the Sea (Cang Hai Yuan) and the Garden of Making-up Hills (Bu Shan Yuan). It combines the man-made items with the natural elements perfectly by three specific arts. The Art of Borrowing from One's Surroundings: Bridges and pavilions are built at the advantage of natural slope toward the sea. A zigzag bridge parallel to the shoreline is where you can feel the sea breeze and take a perfect view of the beach. Another highlight is the Piano Museum, which is Asia's largest piano museum with a wide collection of precious antique pianos from around the world. 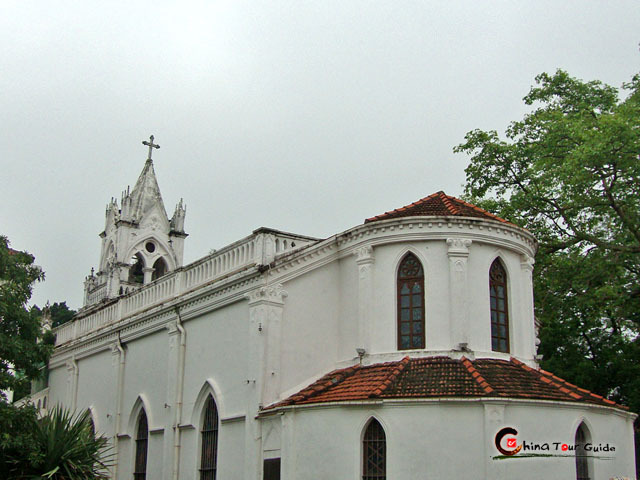 Gulangyu Island is also praised as the Island of Music or Town of Pianos due to its close relationship with music. Gulangyu Island is an island of natural music - seaside breeze blowing through tranquil winding lanes, sound of waves or tides coming off the sea...Just look at the name of the Island: Gu in Chinese means "drum", Lang "waves" and Yu "islet" - The Island/Islet of Druming Waves. 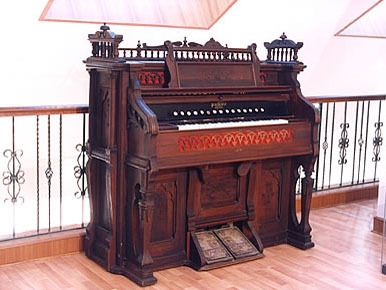 Gulangyu Island has the most pianos per-capita in the world (average one in every five homes). The Piano Museum in Shuzhuang Garden is the largest of its kind in Asia, housing over 40 antique pianos from around the world. 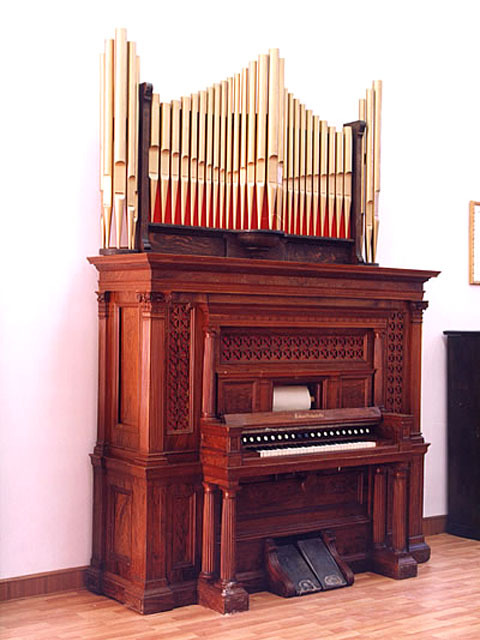 There's also an Organ Museum on Gulangyu Island with over 5000 pieces of collection. 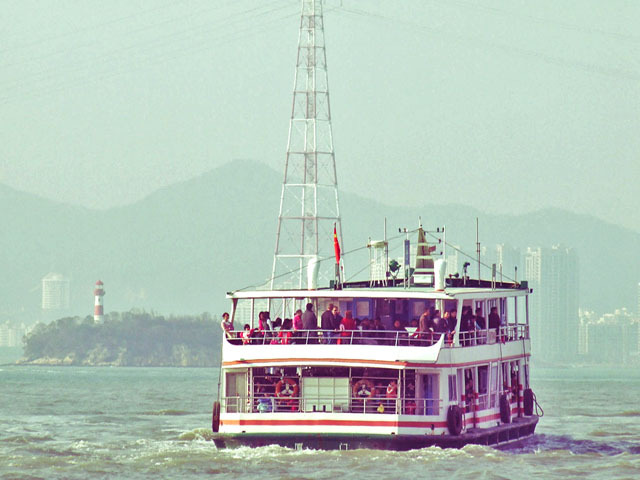 Gulangyu Island is also home to a great number of artists, pianists, singers, etc., including the acclaimed pianist and composer Yin Chengzong and China's first female conductor Madame Zheng Xiaoying.